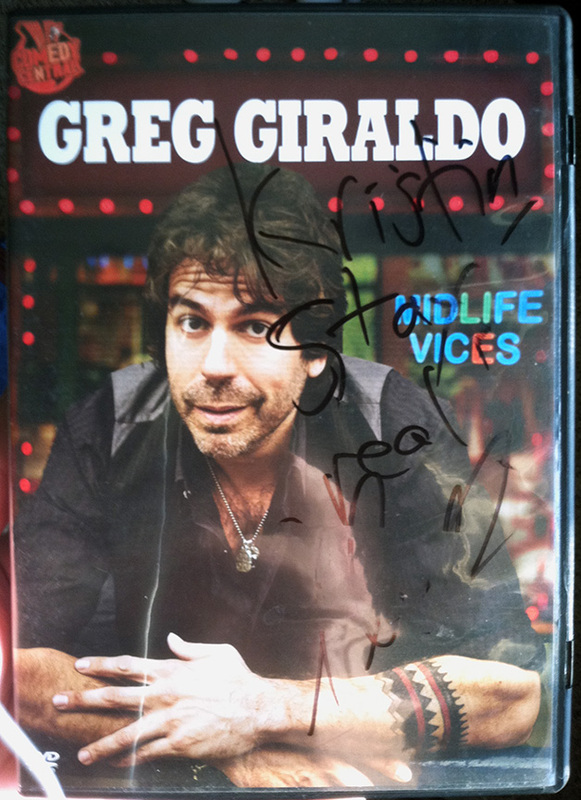 Last weekend at a used book and CD shop I found a DVD comedy performance by the late Greg Giraldo. I decided to buy it because, as an added bonus, I noticed it was personally autographed. For some ridiculous reason the bookstore had placed the price label directly on top of the autograph and when I peeled off the label the autograph came off with the sticker. Well, crap.